I will work with you to decide the details of your wedding and will help you to identify what is unique about your hopes and dreams for the day; I can create folded flowers with love poems on, your names on (you and me forever flowers) or in colours to compliment your wedding theme. I can create large imposing centre piece table displays or small posy bowl arrangements depending on your vision and budget for the day. I can also create the flowers to double up as favours for your guests to take away at the end of your reception. 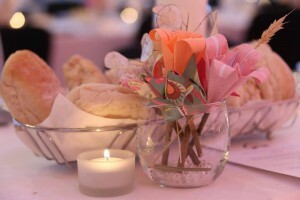 If you think paper flowers are for you and your wedding then please do not hesitate to contact me. I would be happy to arrange to meet with you or to send paper samples. I will make your wedding flowers to order, so please book your wedding with me early to avoid disappointment.